"Bugle® corn chips are filled with peanut butter and dipped in white chocolate; store in an air-tight container." Transfer peanut butter to a microwave-safe bowl; heat in microwave until softened, 15 to 20 seconds. Spoon peanut butter into a piping bag and gently fill each corn snack with peanut butter. 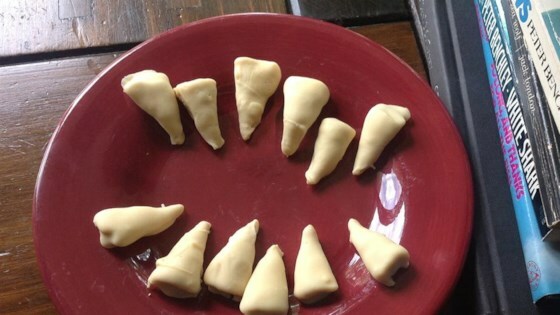 Dip the filled corn snacks into the melted white chocolate until evenly coated; transfer to a sheet of waxed paper to cool.